battle for azeroth Battle for Azeroth: Closed Beta! 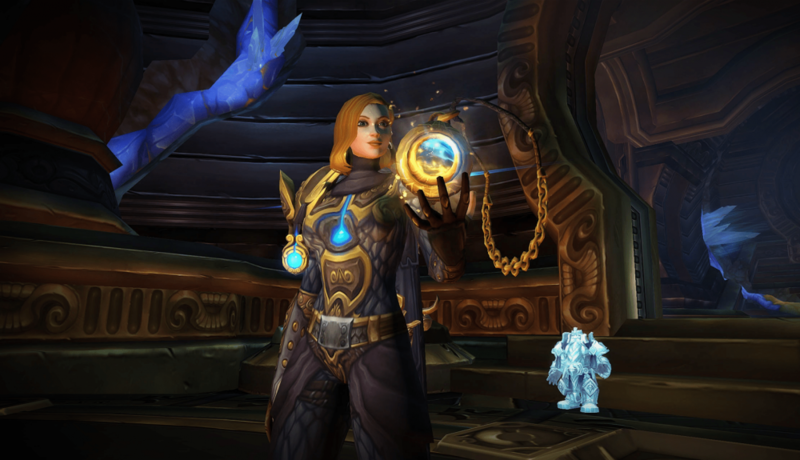 It's been a few months since Battle for Azeroth was released, and although our players asked us to launch the expansion as quickly as possible, we had decided to finish Legion’s primary content first. As time went by, and as we were reaching the end of it with Antorus release, developers have gradually shifted towards BFA, and have been working on several aspects: Stats formulas, Classes, Quests, PVE content and Expansion features among others. Our goal is simple: Making sure our new Battle for Azeroth realm has the most content at release, with the highest quality available. We are close to that goal today and we feel like it's time to give our community the opportunity to try themselves what we have been working on. In order to achieve that, we are launching a Closed Beta realm and we will give access to players who want to help us test the expansion and give us feedback. Players will have all their Legion players available on this realm, so they will be able to test all the BFA content, dungeons, classes, mechanics… everything! The closed beta begins on February 11th. Players willing to help us test the realm will be able to apply for access from the Account Management Page. We will be giving access to players that applied in waves. All selected players for the closed beta will receive a mail on their Firestorm email address informing them. The progress on the Closed Beta won’t count towards the progress on the Live realm. The point is to test the content and report the issues, not to make progress with your copied characters! 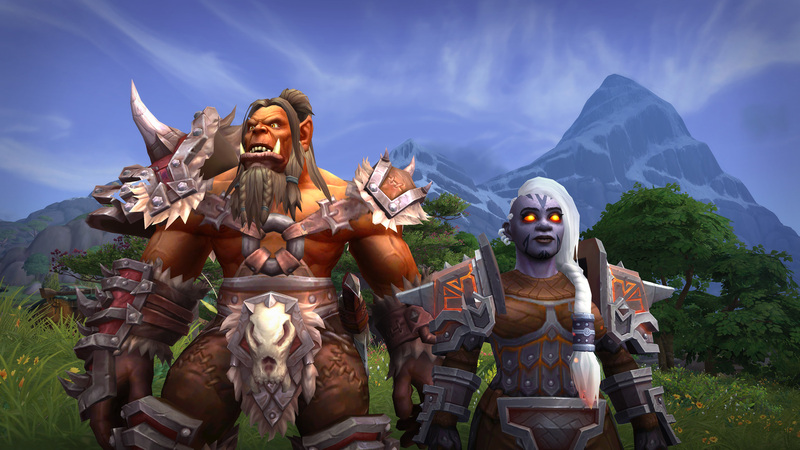 For obtaining the BFA client, players will have a full guide on the forum and on the website giving them several options to download and install it on different languages. There will be several options for downloading the client on the "Join us" page on the website, as well as on the Firestorm launcher! It will be added this week. Minimum client for Windows (64 bits only) . Put the wow.exe in the folder you want to download the game and open it. Minimum client for Mac. Uncompress the files on the folder you want to download the game and open the .app file. Full client for Windows (64 bits only) and Mac. You need a TORRENT client in order to be able to open this link properly. Once it's downloaded, uncompress on the folder you want to play and execute wow.exe. For Mac users, there's a zip file inside the downloaded client called WoW Mac.zip. Uncompress it inside the Game client and execute Warcraft.app in order to be able to play. Do not forget that BFA client will be needed for the PTR Closed Beta Realm and later on for the Live Realm, so you will need it in order to play! If you ever find any glitch or issue while playing on the Closed Beta PTR Realm, you will be able to report them on our bugtracker so we can fix it before the release of the BFA Live Realm, Sethraliss. We have been working on the scripting and balancing of the classes since early September and kept reviewing them because we know how important it is: so far, more than 500 fixes have been made on spells alone, including damage / healing values, interactions with other spells, and hotfixes. The QA team has been working with the developers in order to provide you with the best experience possible when you are playing your class. You can see their work on the Live Changelog. 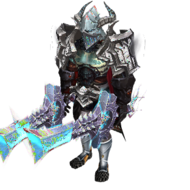 We updated our templates so that each race, class, and spec has the most accurate values possible across the board: from your primary stat to your dodge and parry chances, your haste scalings, your block chances and damage reduction, or your auto attack damage, everything was reviewed and updated to be as reliable as possible. Dark Iron Dwarves and Mag'har Orcs are unlocked without any requirements! 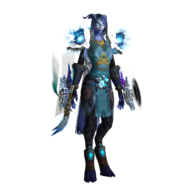 Once you get to level 120 with the race you will also unlock the transmog set and mount! Tier 0: this level grants two features for each of the specializations in your class. Tier 1: this level grants a line for each of the specializations of your class and 1 general line. 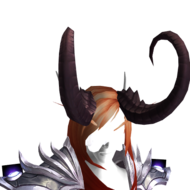 Tier 2: this level grants 3 traits that are useful for the different roles that your class can hold. It only appears on epic pieces. Tier 3: this level grants two useful or defensive features. 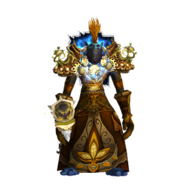 Tier 4: this level grants the trait Reinforced by Azerite. It only appears on gear with item level 340+. 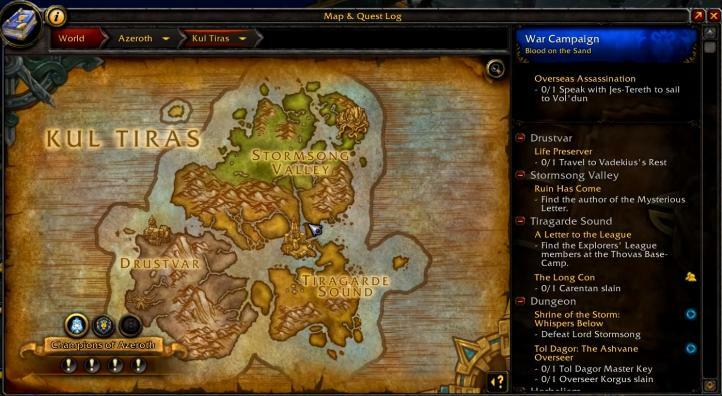 There will be a secondary zone of each new continent, Nazmir and Drustvar. Inside each available zone, you will be able to complete all the quests and chapters of the main storylines, fight against rare creatures, find lost treasures and also the world quests once you unlock them. The zones of Stormsong Valley and Vol'dun are still under development and will be released later. We will make announcements when the zones are ready to be implemented. You will be able to report any issues regarding these zones on our bug tracker. All currently available battlegrounds on Legion will be accessible at the launch of the realm. Two new arenas: Hook Point, Mugambala, and the remastered version of Nagrand arena will also be implemented. The ranked brackets will be up once the PvP season starts. 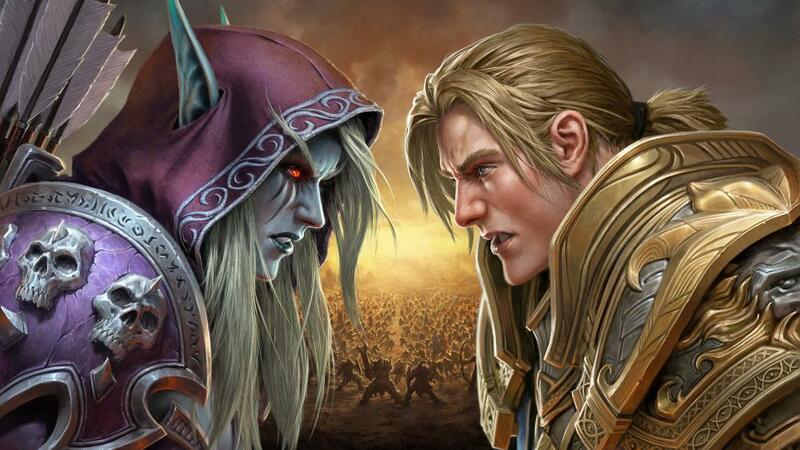 War mode is the new wild PvP mode of Battle for Azeroth. By activating the war mode, you will only meet players in war mode. In this mode, your PvP talents will still be active no matter where you are. Doing quests in war mode will give you bonuses to experience and rewards. Killing players in war mode will grant you Conquest Points. 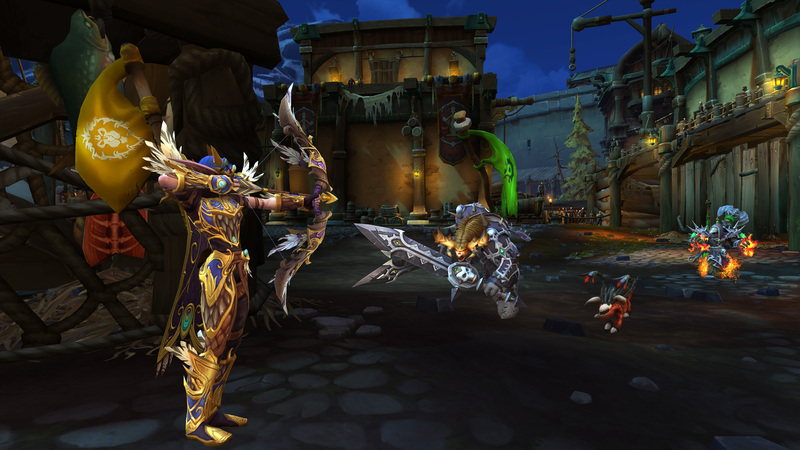 To activate or deactivate the war mode and choose your Honor Talents, you will have to be in Stormwind or Orgrimmar, according to your faction. Once activated, your Honor talents will also be active all the time, whether you are engaged in PvP combat or not. 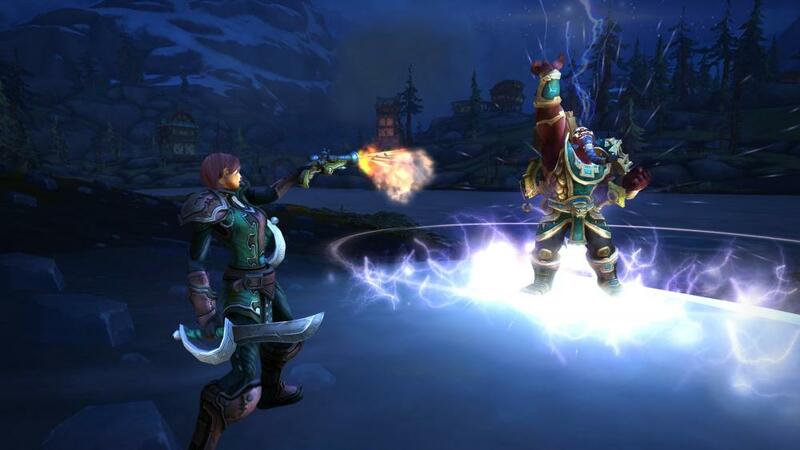 War mode offers a new way to engage wild PvP in BFA. In addition to activating your PvP abilities, this game mode allows you to kill players of the opposing faction and offers bonuses when becoming the assassin as well. 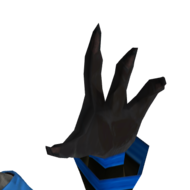 The assassins who killed the most players (10+) will have bigger bounties for their heads. You can freely attack and be attacked by the players of the opposite faction. 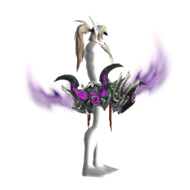 The item level of your equipment is adapted to not create too big imbalances between the players. 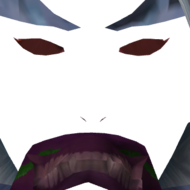 If you successfully defeat 10 consecutive players, you become an assassin, increasing your damage and healing by 15%. If you kill a lot of players, your position will appear on the enemy’s player map and your head will worth a bounty. Regularly in war mode, a Horde Zeppelin will drop a crate on an area of Kul'Tiras and a flying machine of the Alliance on Zandalar. Such as games like "Battle Royale", you will have to go to the location of the supply crater to loot its content. Which means that the drop zone will be extremely dangerous, you will have to be ready to fight! To learn more, refer to this guide here. Dueler’s guild: a 1vs1 arena feature! 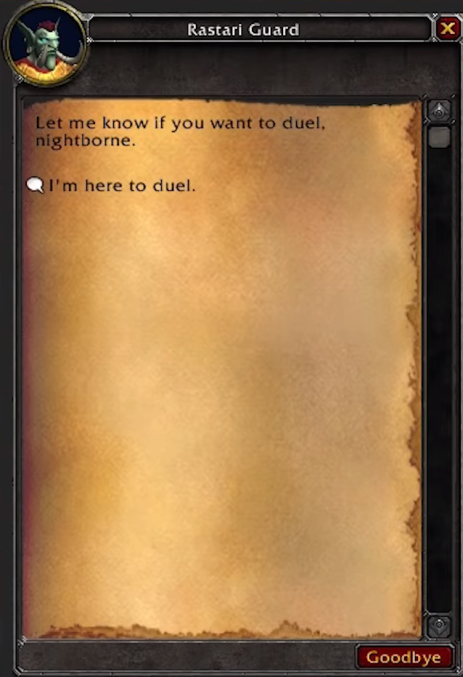 This is one of the big news for PvP on BFA: you can now make the arena solo and you can fight directly other players. 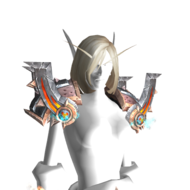 Several rewards will be available, such as high-facts, titles and tabards. You will need to be at level 120 and have War Mode enabled to be eligible for this feature. 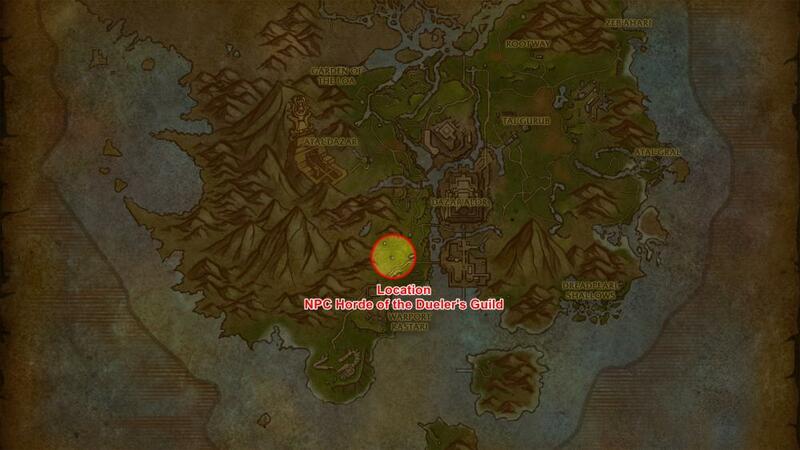 NPCs will be located in the Duelist Guild, in Boralus for the Alliance, and in Zuldazar for the Horde. To join the queue for the duel arena, you will need to contact the Guards of the Dueler’s Guild to play it. Once in the queue, you will be able to move around the area’s headquarters, but do not go too far or else you will lose your slot. After a while, two players are called into the arena to fight against each other, and a countdown of 15 seconds will be triggered to indicate the start of the duel. This outside zone is vulnerable to attacks by the opposite faction, although the guards will try to defend it during your match. Fight and conquer the territories of the opposing faction, establish outposts and recruit allies to claim territory. Rewards will be given as you progress! You will be able to follow your war campaign missions in real time at the top right corner of the quest log. The upgrades for the war campaign will be available after level 114. They will cost war resources and give your character various bonuses into the open world or certain game modes. 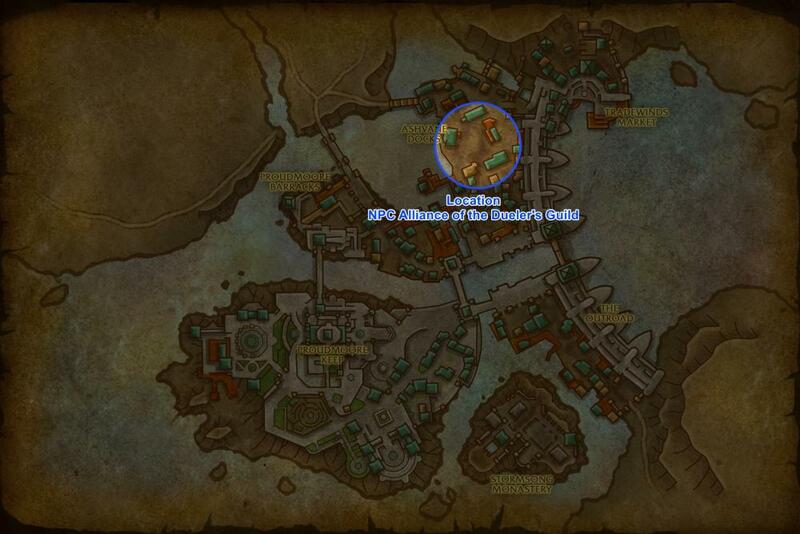 Just like Warlords of Draenor garrison missions or Legion's class hall missions, you can send champions and troops to complete them for you, using war resources. War resources are the main currency of the campaigns. You can get some by completing quests, by finding treasure chests and World quests (which will be available at level 120). The bases of the war campaigns are located inside warships placed at the capitals of Kul'Tiras and Zandalar. They will unlock many features of the expansion and will offer various rewards. 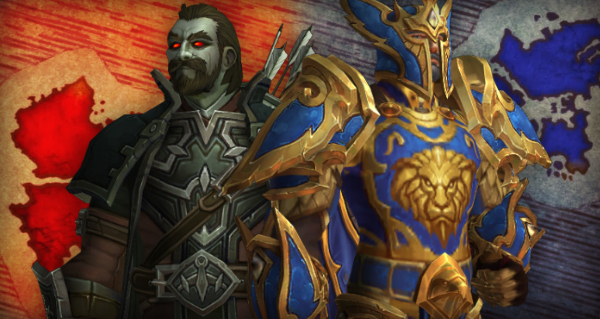 There are two military campaigns: one for the Alliance, one for the Horde. These will be the main chain quests of this new expansion, just like Legion's class field campaigns. All of your Legion's characters will be transfered for free. We can download full client now before open realm? Minimum client for Windows (64 bits only). Put the wow.exe in the folder you want to download the game and open it. The current version is 8.0.1.28153. 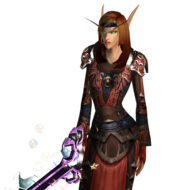 Are we going to be able to transfer any character from Legion to live BFA for free? PVP ones will come at a late date! we can migration monster wow bfa to firestorm bfa ? We don't know yet, but if possible, we will implement it. Peut-on migrer un perso d'offi as firestrom Bfa ? Wait what, Firestorm is connected with Monster? Soo,are the free character transfers(all of them) gonna count for the beta or official launch? From what i know, both.